I’ve had the gold mesh stars for a while now, just didn’t know what to do with them! 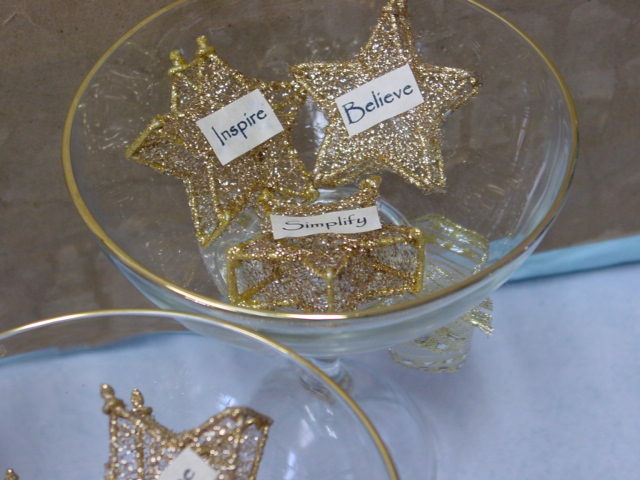 First I printed up some words on my compter and cut them into little individual tags and glued one to each star. 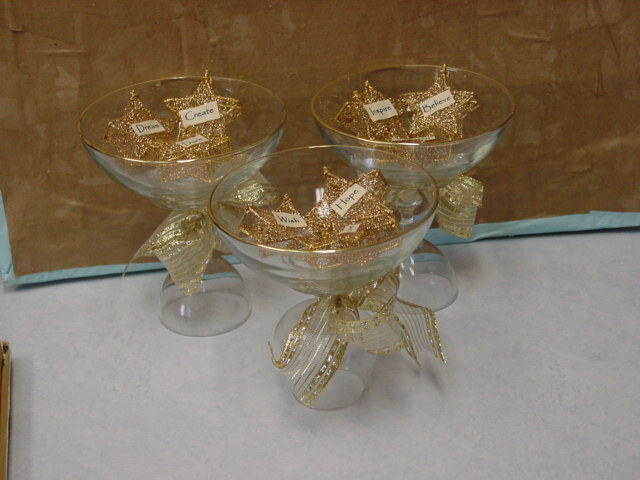 Then I happened upon these gold rim ‘pedestal’ bowls I made a while ago and had packed away. 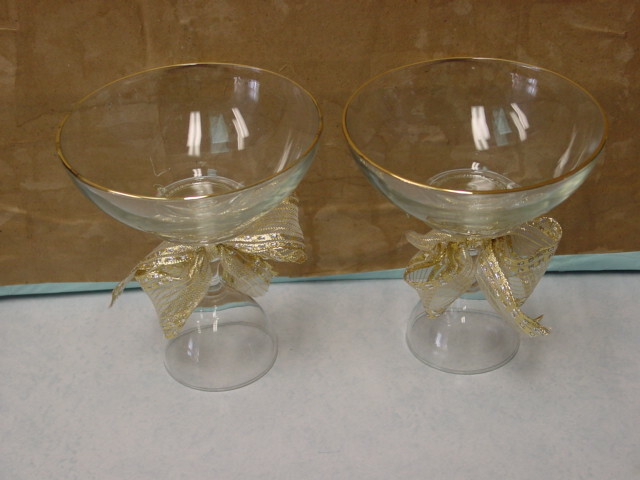 (I think I was going to fill these with handmade snowballs!) The little stars would be perfect in these! And I used some scrap card stock to make header cards, for a more polished look. 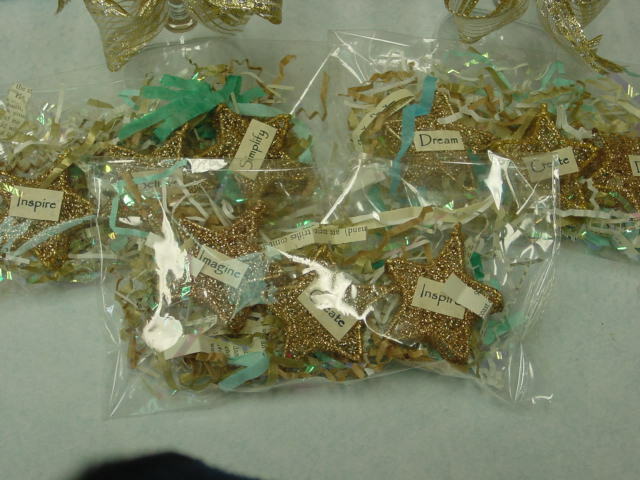 These little stars would be cute to use at holiday place settings; or scattered on a platter of pillar candles for a centerpiece. 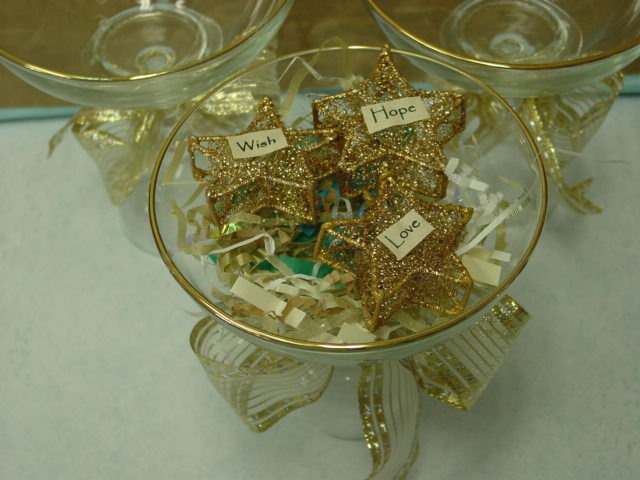 Great as a little holiday hostess gift too! 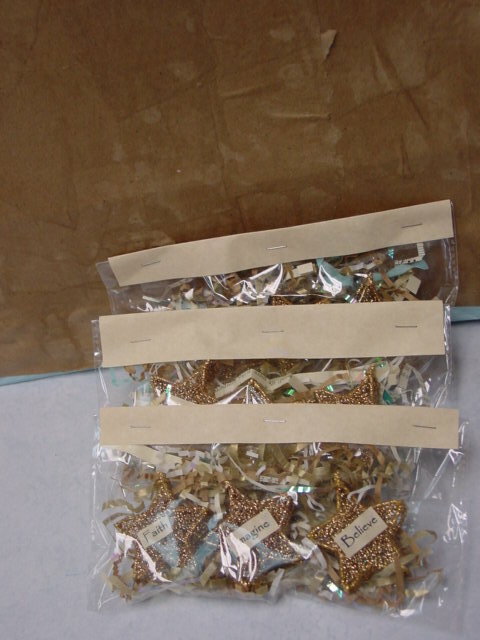 Tags: Christmas Decor, cottage Christmas, gold christmas decor, gold stars, holiday decor, reuse christmas decorations.